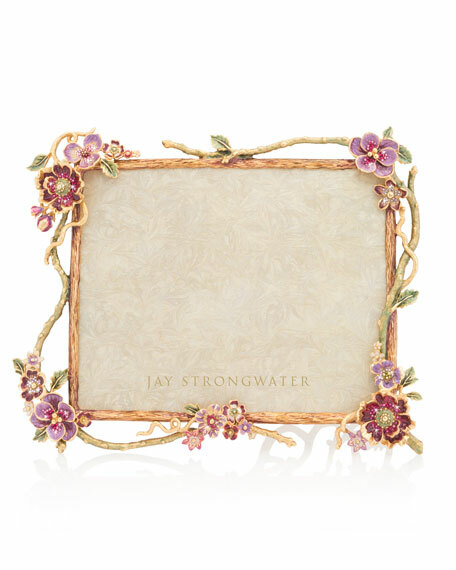 Jay Strongwater Floral Branch Picture Frame, 8" x 10"
Jay StrongwaterFloral Branch Picture Frame, 8" x 10"
Handcrafted frame plated in 18-karat gold. 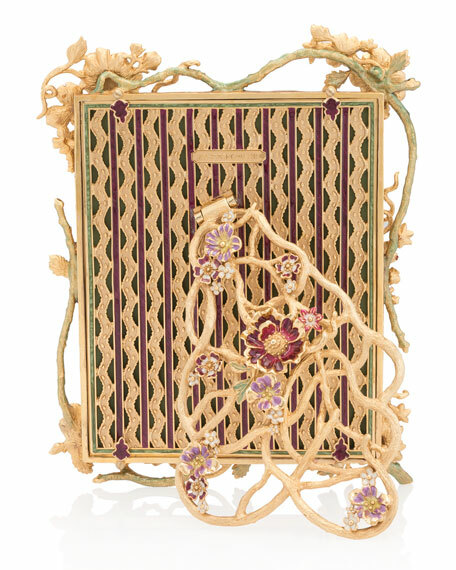 Flower detail embellished with Swarovski® crystals. 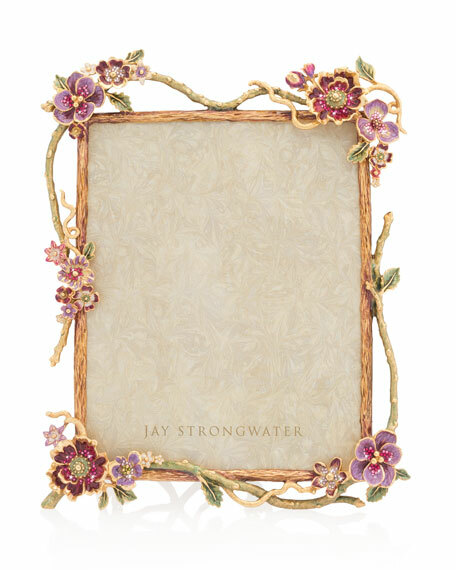 Holds 8" x 10" photo.